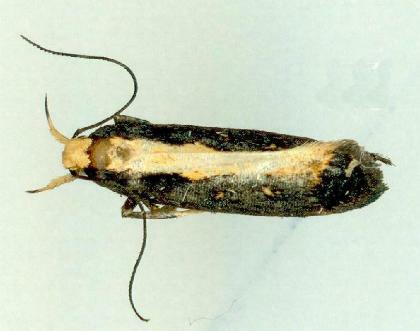 These adult moths have dark brown forewings each with a broad pale stripe along the hind margin. 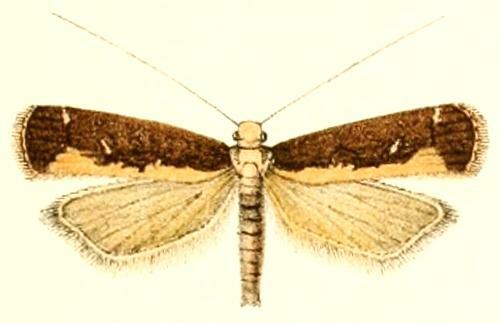 The hindwings are pale brown. The wingspan is about 1 cm. Volume 44 (1901), p. 84, and also Plate 6, figs. 4-4a.